This is an addon which aims to bring the Dragon Ball Z Universe to Minecraft Pocket Edition. 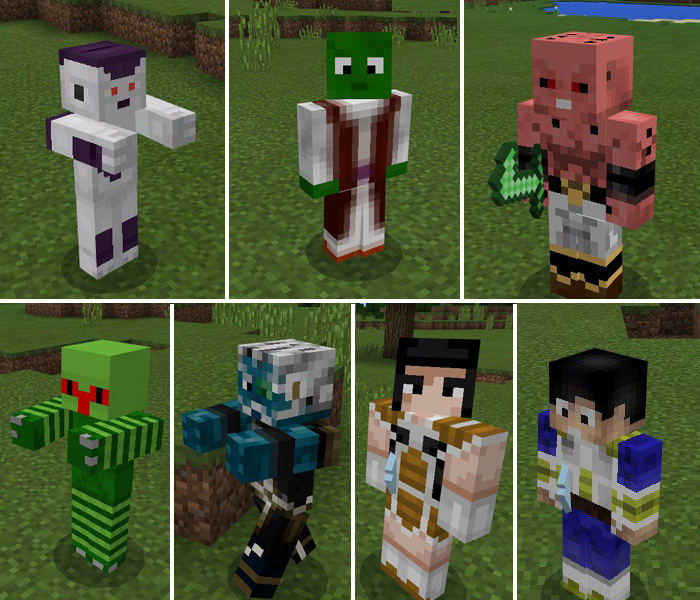 It includes new mobs such as Saibamen, Namekians and Saiyans. There are also a new range of attacks (items) which can be used to battle the new mobs. Right now it’s limited to just new mobs and items but hopefully it could include something a bit more complex in the future as the features for addons evolve.